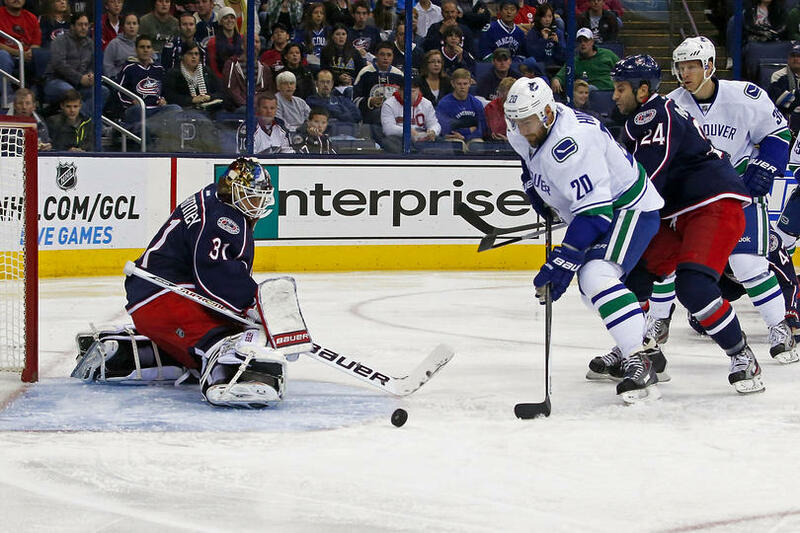 The Blue Jackets are in Vancouver to take on the Canucks for their second and final meeting this season. In their last meeting in Columbus on October 20th, the Blue Jackets won 3-1. Blue Jackets goaltender Curtis McElhinney, was impressive with 37 saves. The Canucks are looking for their first win in 5 games. Their current 5-game losing streak is their longest since an 8-game losing streak back in January 2009. And we all remember how they bumped that slump, right? As for the Blue Jackets, they have won 2 out of their last 5 games. Blue Jackets forward RJ Umberger has recorded a point in the last 3 out of 4 games (2 goals and 1 assist). Defensemen James Wisniewski is the Blue Jackets leading point scorer; he also has 3 points in the Blue Jackets’ last 4 games. Despite the Canucks’ recent play, goaltender Roberto Luongo has been doing well with a 0.924 save percentage in November, including a 0.933 save percentage in his last 3 games. The Vancouver Canucks are still without Jordan Schroeder (ankle), who’s on IR and not expected back until late December. The Columbus Blue Jackets are missing quite a few players. Brandon Dubinsky, the Blue Jackets second-leading scorer (5 goals) injured his foot in Tuesday’s game and will be out. The Blue Jackets are still without Nathan Horton (shoulder), Cody Bass (thumb), Matt Calvert (abdomen), Dalton Prout (back) and Marian Gaborik (knee).